President Muhammadu Buhari on Tuesday embarked on a 2-day working visit to Anambra and Ebonyi state in his bid to promote unity in Nigeria. 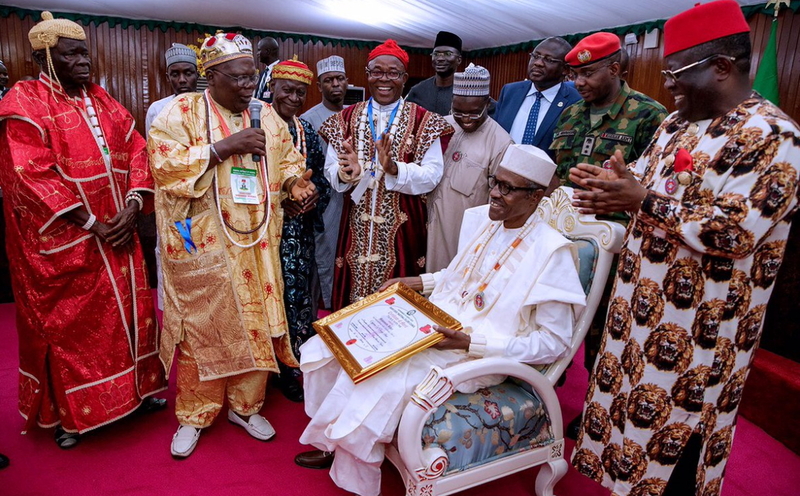 Shortly after arriving at the Akanu Ibiam Int’l Airport in Enugu at about 10:38am today, Mr President headed for Abakaliki and after commissioning some vital projects, he was conferred with 2 powerful chieftaincy titles of Ochioha Ndi Igbo 1 and Enyioma 1 of Ebonyi. 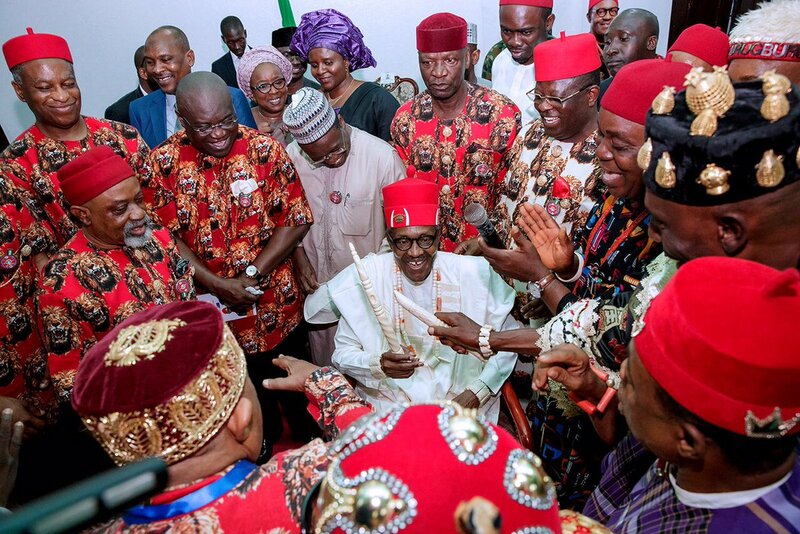 I will be very very angry if Buhari’s statue is not waiting for him in Imo o! They told us to patronise Made in Nigeria goods o, so we must have Nigerian president statue in Imo state o! He is the one that will sign the trade agreement that those ‘foreign investors’ from LIBERIA and SOUTH AFRICA will use to enter and invest in Imo state o! I don talk my own, ehn ehn. **** MAN.VISITING THE REGION FIRST TIME SINCE U GOT ELECTED. 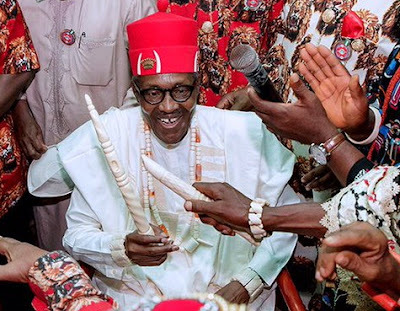 We have seen and heard it before mostly during election period,this will not change anything…if they like let them crown him Amadioha,as long as the youths who the future belongs to are not in agreement with it…the title is as good as dead. fellow elders have I spoken yr minds? Am not surprise, Mr Buhari is already preparing for 2019 election.